In Canada, over 16 present and former members of Prime Minister Justin Trudeau’s Youth Council wants the Prime Minister to drop the Kinder Morgan bailout. It is estimated to cost the taxpayers some $4.5 billion. It is an unprecedented move on the part of the young Canadians on the Council. On to talk about this with me is Elijah Dietrich, a current member of the Prime Minister’s Youth Council. Welcome, Elijah. ELIJAH DIETRICH: Very much. All right, Elijah, let’s start off with your specific contention as a group. Here I’m talking about all 16 of you. What is your contention with the Kinder Morgan pipeline, and the purchase of it by the Canadian government? ELIJAH DIETRICH: I wouldn’t say there’s just one. I would say there are three key ones. First of all, it violates indigenous rights, as the consent process is being sought from the First Nations whose land it crosses is essentially very problematic. Second of all, it won’t help Canada meet its climate targets, and it poses a severe threat to the environment. And then third of all, this is a long-term issue that youth are going to bear the brunt of as climate change sets in; climate change that will be brought on by projects like this one. SHARMINI PERIES: Right. Now, What is the justification that Prime Minister Justin Trudeau is providing for the purchase of this Kinder Morgan pipeline, when all kinds of economists and people who work in the business predict that this kind of a huge capital purchase is essentially a stranded asset? ELIJAH DIETRICH: It’s so funny you ask that. 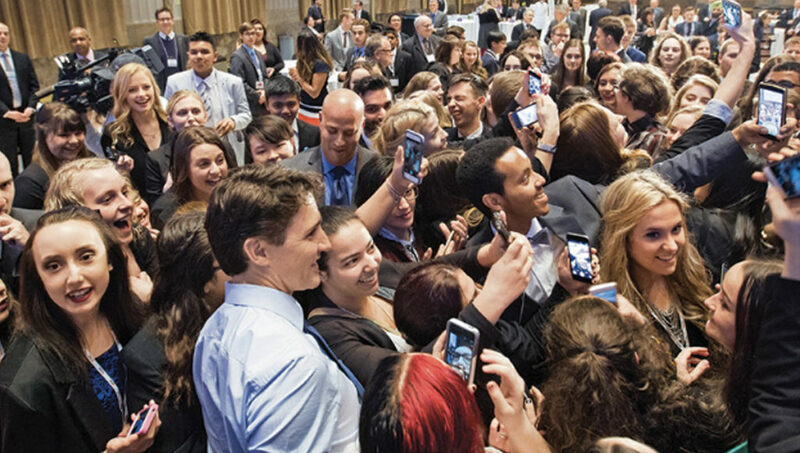 So in June we had a meeting in Ottawa with the Prime Minister. We had a few chances to discuss with him. And that was essentially my question to him, where I just-. It was a general Q&A, and I said, what is the rationale behind this? Because for the life of me, I cannot figure it out. And it was a very long answer, because it goes into the depths of Canada’s environmental policy, economic policy, and all that sort of thing. And essentially what it boils down to is that it’ll help the Albertan oil industry get its oil overseas, as the U,S. begins to produce oil mostly independently, so much of its oil it produces itself. Canada will be seeking new markets. And all these other pipelines that have been proposed for this project, getting oil abroad, have essentially failed. And so this is the last one. And once Kinder Morgan said, listen, we’re backing out, there’s too much opposition from First Nations, the review process, funding, and all that sort of thing, the government felt it was necessary that it step in and get the project through in order to get that oil to world markets. Now, in answer that I got from Justin Trudeau and he reiterated the Government’s stance on the environment and the economy where it’s sort of a little bit of this and a little bit of that. You have to sort of-. And this isn’t his words, but this is just the general impression I’ve been getting based on the government’s policies and actions, is that it seems that they believe that you have to sort of hurt the environment a little bit in order to grow the economy, and then you have to constrain the economy a little bit to grow or to support the environment. And personally I just don’t agree with that. I think projects like this are just going to prolong our dependence on fossil fuels, which is going to hurt us in the long term. And we can have sustainable economic development in the short term by putting the same sort of money that we’re putting into the projects, whether it’s through buyouts of pipelines, or whether it’s through the subsidies that we, that the government provides the oil industry, if we put it that into clean tech as well as transitioning workers into just less polluting, more sustainable high-tech sectors and things like that, we’ll be able to grow the economy sustainably. SHARMINI PERIES: All right. Now, Justin Trudeau, he has children, very young children, and he was a teacher. He has this Youth Council that is supposed to help him navigate the needs of the next generation. And yet he’s engaged in this at a time when every member of the IPCC, the world’s most renowned body that is telling us that, you know, what’s in the ground must stay in the ground and we should stop extracting fossil fuel. At a time when recently a report was released on the glacier loss in terms of the Canadian ice caps is accelerating at a speed that is unexplainable except to attribute it to the emissions and CO2 levels in the air. And the Prime Minister has advisers, has a Department of the Environment, and so forth. Obviously these researchers are advising him. Why do you think that it is falling on deaf ears? ELIJAH DIETRICH: Again, it comes down to the sort of policy that they have in place, the policy mindset that they have in place, of growing the economy and growing-. And supporting the environment, or having climate leadership. And essentially because oil is such a big part of Canada’s economy, I guess his government- and this is just me interpreting their actions and their policies- see it as a priority. And it’s, despite the environmental issues that it will cause, that it is causing, it’s seen as you have to sort of give a little bit in the way of oil and they have to give a little bit in the way of the environment. Now, one thing that I’m especially-. 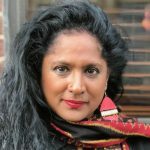 SHARMINI PERIES: Experts, Elijah, many experts, including his own government, and researchers in his government, will tell us that there are various ways in terms of how a just transition can happen in Canada, where there is all kinds of investments that the federal government could make in order to have clean energy and a clean economy. And you know, it is a land where, you know, Naomi Klein has written books on. His advisers aren’t that far away from him, and yet he seems very, very wedded to the corporate economy and not the people’s economy. Now, I’m wondering if the Youth Council is presenting him with some alternatives, here. ELIJAH DIETRICH: Right. So that’s actually really interesting that you bring that up. Now, I’d like to clarify, in turn, in answering your question there that this letter is an external letter. It was written by one of the Prime Minister’s Youth Council’s alumni, as well as one of their colleagues in British Columbia. And that, it’s an external letter that the alumni reached out to us about and said, hey, do you guys want to sign onto this, do you agree with it? And we said, totally, and 16 of us, or 17 now, signed on. It’s an external thing that we’re throwing our weight behind, that we’re saying we support this. As representative youth we believe that the messaging in this letter is in line with youth interest. But it’s not an official communique from the Prime Minister’s Youth Council. But with this what I’d like to start doing, what a number of other members have expressed interest in doing, is developing an official communication that we’ll send to the Prime Minister through our channels, just sort of using this letter as inspiration and outlining our comprehensive view about his climate policies specifically. And I’ve made sure that I want to include this in the letter, because I don’t believe in critiquing someone’s decision without providing alternatives or other solutions. I want to make sure in there we have everything required for a just transition. And one of the people that we’ve been working with talked about an oversight committee, or some sort of transition committee, that have been implemented in different jurisdictions in order to oversee a transition to a clean economy. And I would love to suggest that in there. That is one of my key plans. SHARMINI PERIES: All right, Elijah, I thank you so much for joining us. One quick question. Will you be participating in Washington this weekend on the, on the Youth March for the Environment? ELIJAH DIETRICH: In Washington, D.C.? No. No, I’m sorry. I’ll be, I’ll be at work. But I would love to be there. SHARMINI PERIES: OK. So this is an opportunity to also highlight that there is a Youth Climate March taking place on Saturday on the grounds in Washington, D.C. near the White House, and we’ll be covering it. And Elijah, I’m sure you’ll find a lot of solidarity there. And with the, with the amazing initiative you’ve started here. And I congratulate you on that, and I hope a constructive dialogue on alternatives takes place with Prime Minister Trudeau. In fact, we’re calling on him to do so. Thank you so much for joining us. Thank you very much. And thank you for joining us here on the Real News Network.